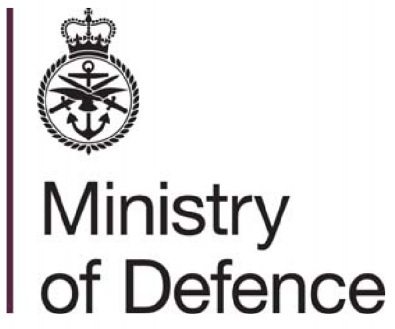 Ministry of Defence response to an Freedom of Information (FOI) request for the percentage of female service personnel (all services, regular and reserve, whether mobilised or not). MOD response to a Freedom of Information (FOI) request dated 6 March 2014 for figures on the percentage of female service personnel (all services, regular and reserve, whether mobilised or not). The total number of personnel in the British forces was 199,620 at the beginning of 2014. The female members was 20,080 or 10.1 percent. 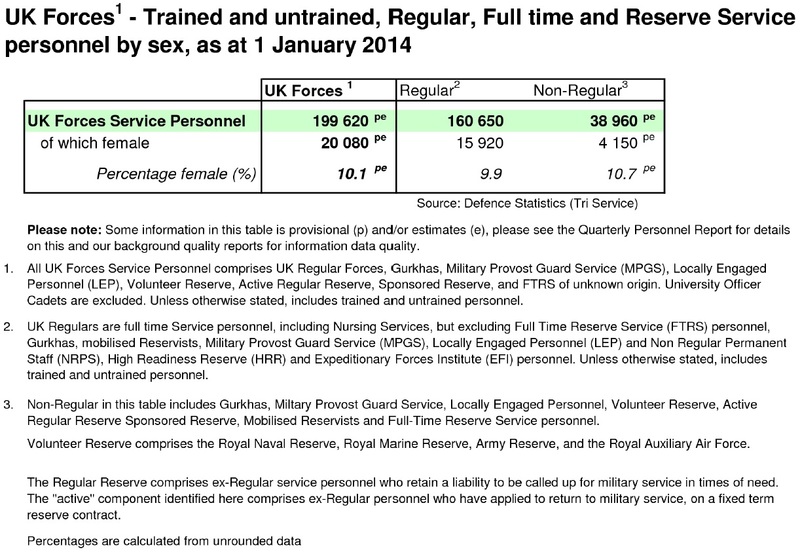 The regular personnel in the British forces was 160,650 on Jan. 1, 2014, of this 15,920 were women or 9.9. The British Army Service personnel was 123,690 with 11,280 being women or 9.1 percent. The Royal Air Force had a personnel of 37,810 with 5,260 women or 13.9 percent.